The Internet is the fastest growing marketing tool in the world! 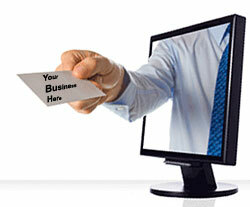 We offer low cost web design, email, domain names, web hosting and much more. Present your business to the World in the most professional manner. Visibility on the Internet. we specialize in getting your website seen by search engines. A beautiful website still must be able to be found! This process is called "search engine optimization" or SEO in the Internet business. Professional graphics, optimized for quick download time, utilizing the latest technology including Adobe, PHP, & Java. Your concept translated to the web. Either describe exactly what you want or allow our professionals to create a site for you. Reduce costly changes by having your site designed and optimized correctly the first time. We have the perfect full-service hosting solution for every need and every budget- from a basic web site to an online superstore. With Consys hosting and servers, your online presence is secure, reliable and lightning-fast compared to other VPS hosting services. One stop shopping, we do it all! Setup, concept, design, hosting and even database integration. We will walk you through the entire process. Low cost domain names with free email, hosting, etc. Risk free domain transfers. Quick shopping cart allows you to create and publish a stand-alone Internet store or add one to your existing Web site. Your shopping cart can accept PayPal® and credit cards, offer multiple shipping options, issue coupons -all via your secure site. Email accounts that are fast, reliable, private, secure, and spam-free. Web-based email included. Best-of-breed routers, servers and firewalls and the best 24/7 support and maintenance.